The pressure to produce short run print more and more efficiently is increasing. Here we look at how a B2 inkjet press can address this growing need. 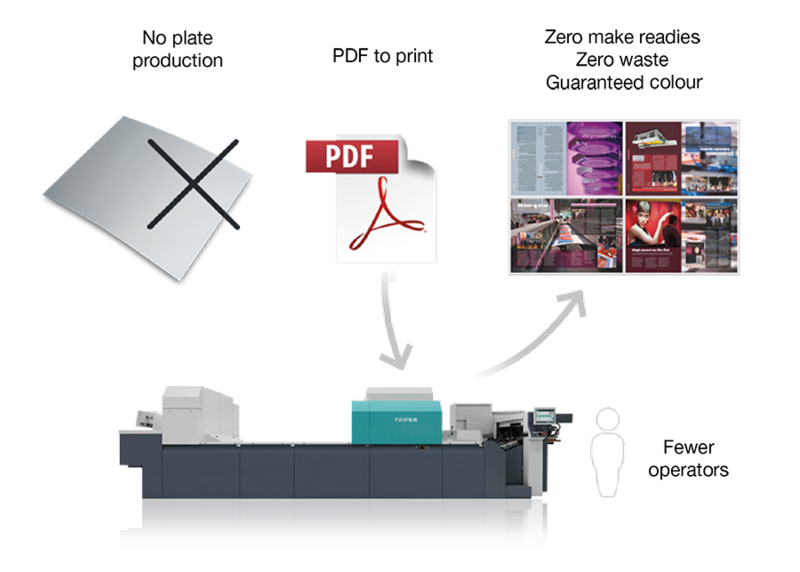 The most efficient way to produce short run print is to send the PDF to the press and print. 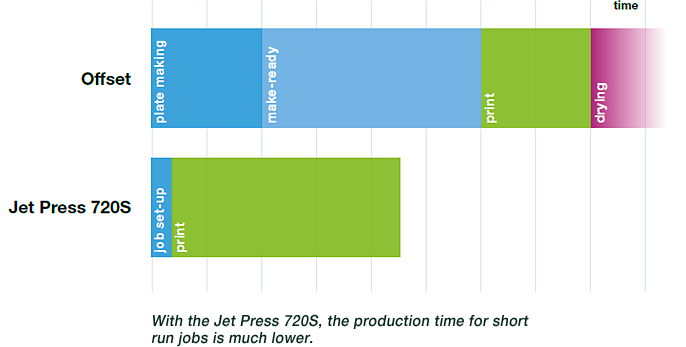 This is how the Jet Press 720S operates, as this groundbreaking B2 inkjet press eliminates all the timely and costly preparation and set up parameters of an offset press. There are no plates to produce, no platesetters or processors to maintain, no make readies, no run up to colour, no waste sheets, and virtually no pressroom consumables. The printed sheets can often be handled immediately (although drying time ultimately varies according to paper type), and print quality and consistency is guaranteed, with no on-press tweaks necessary. So if you are looking to be ultra-competitive on short run print jobs, the Jet Press 720S is about as efficient as you can get. Just send the PDF and print.